This entry was posted in you so crazy! and tagged apple, apple pie, chicken, colonel, crazy, isnane, Japan, Japanese, kfc, pie. Bookmark the permalink. 8 Responses to Oh, the indignity! 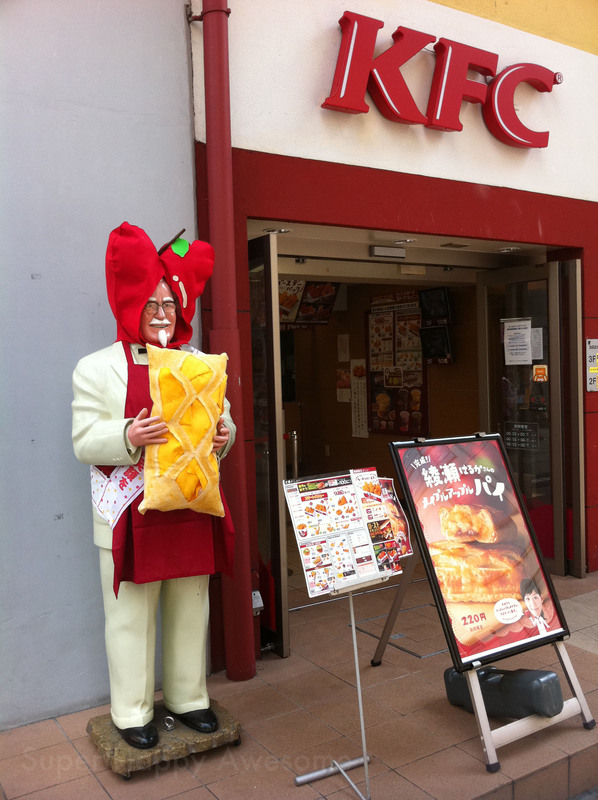 Beware of insulting the Colonel when you are in Japan for he is known to curse people who do. But you’re probably alright so long as you don’t throw him in the river. Woah, that’s kind of epic! That certainly is the most outlandish Colonel outfit I’ve seen. Yeah, I’ve seen some crazy ones, but this one is just bonkers! Is that an apple.. because it really looks like he’s got a pair of knickers up on his head. 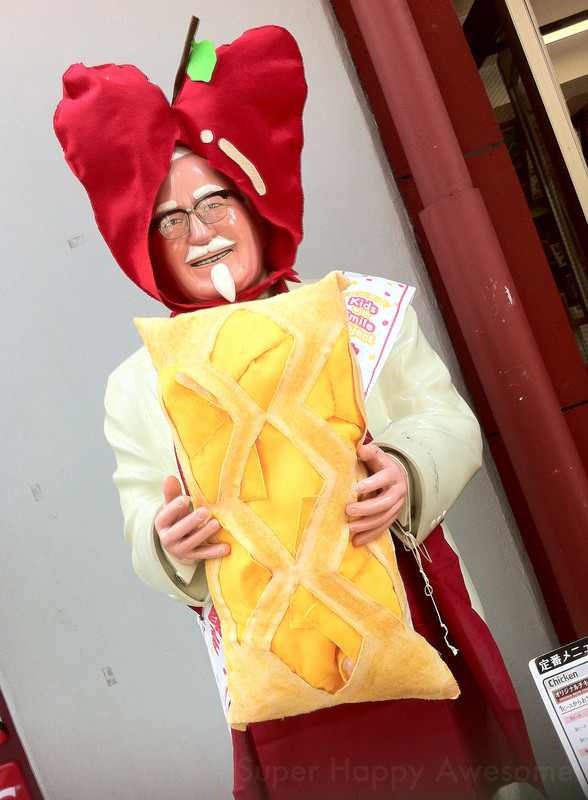 Oh the Colonel with his wee beedy eyes…. Beware of the addictive chemical he puts in your chicken that makes you crave it fortnightly!